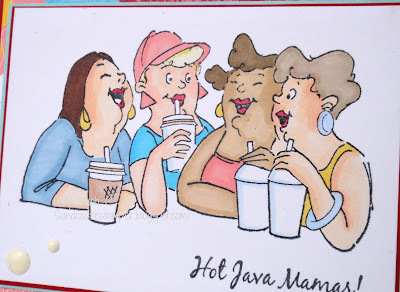 *Sandcastle Stamper* : 3M - Hot Java Mamas! What a riot Kelly! This bunch of hot Mamas is sure to please! Your coloring turned out great. I too struggle with skin tones, and I think you have excelled here. Love the bright dps as the background too. You really nailed this one! This is a great card Kelly with your awesome coloring and the patterned papers you used. Just makes me smile. I love AI. Thank you for commenting on my SPD blog post. Hugs. What a fabulous card Kelly - love those AI stamps :-). Your colouring is wonderful, and I love your cheerful background. One day i will be in that group - I hope. Kelly, your card is amazing... you layer gorgeous papers better than anyone I know! And your reaching your goals, too! Impressive!!! I'm so glad we're friends... now we need to figure out a way for the 3M's to get together for coffee! You absolutely nailed different skin coloring, terrific job and terrific shading! Love you ard! You just can't go wrong with the Girlfriend stamps. I love them all and especially love what you've done with your card! 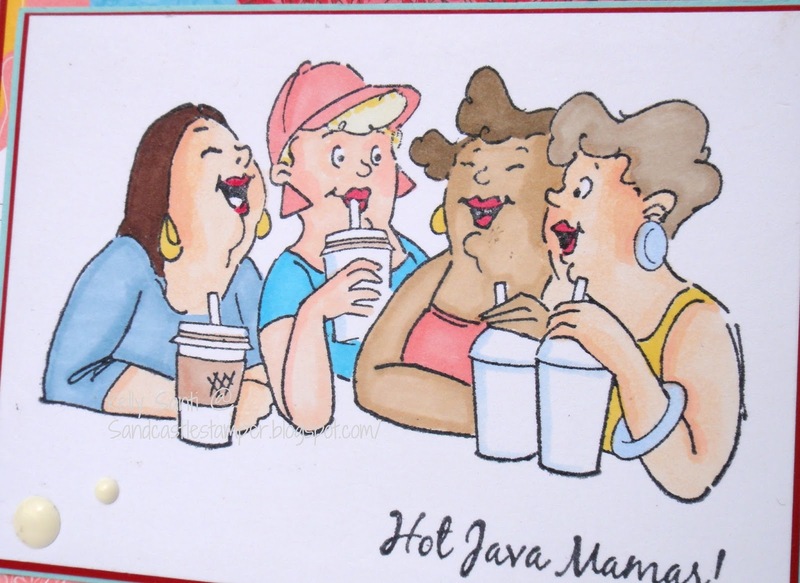 I love the Girlfriends and your card is great. Love the different layers and the colors. Awesome card and image Kelly. I have a few of the AI images and totally love them. Love your coloring. You really nailed the person of color image. Awesome Card Kelly. I love the skin tones of all of the ladies and your goal is going great! I too hope we get to meet up someday to have that coffee--over multiple days! Sensational work with these delightful AI Girlfriends! I am keeping my fingers crossed that "one day" you and Barb and Jeanette will get to meet face to face! Crafty friends are the best!! Who else understands? Oh, such a fabulous card! So happy and fun, it's just a delight! I feel like I can hear the voices and the laughters of these girlfriends!! :D Stunning sensation! :D You have colored the image so well and the papers are just perfect to match it! Fabulous! 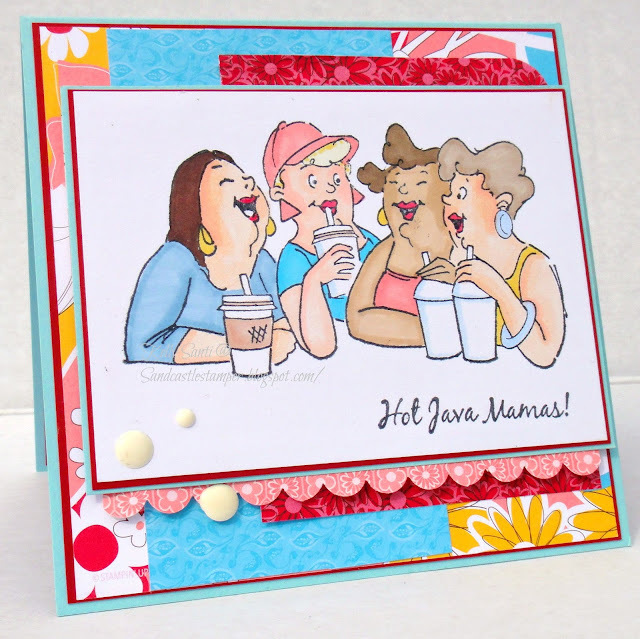 Fabulous and fun card!! You did a really awesome job coloring them with your watercolors! Thanks so much for sharing your talents with us at Art Impressions! !